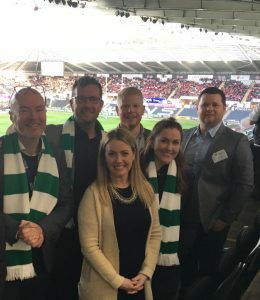 Swansea University is enhancing student employability and boosting career prospects with a helping hand from former Wales and Ospreys rugby coach Sean Holley. The University recently teamed up with local award-winning education technology experts Aspire2Be to give students the opportunity to gain valuable experience from experts in the field of media. And Holley – who coached the Ospreys for nine years between 2003 and 2012 – played a key role with the collaboration as the broadcaster’s ‘iBroadcast’ programme was piloted for the first time in higher education. The iBroadcast syllabus was originally suited for schools, but Swansea University staff worked alongside their counterparts at Aspire2Be to adapt the methodology for University level. 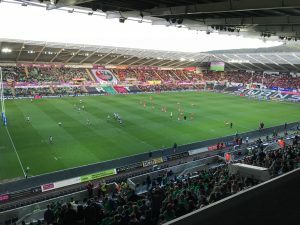 A number of Swansea University students were handed a media masterclass, as well as being awarded the opportunity to cover this year’s Welsh Varsity like never before. 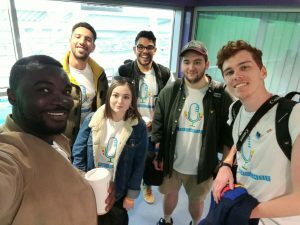 The team went on to produce a documentary-style promotional video for Varsity, assuming a number of different roles including presenting, interviewing, filming, script writing, producing and research. 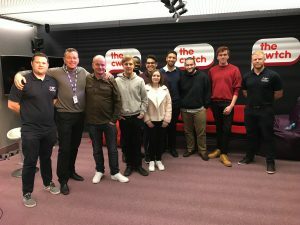 The partnership also gave students the chance to meet BBC Wales Scrum V Producer Craig Withacombe and gain expert tuition from Sean on broadcasting, the technical support from Aspire2Be, as well as spending a day at Nation Radio for the recording of the Sony Award-winning Rugby Nation show. Aspire2Be’s innovative iBroadcast project is designed to enhance self-confidence and develop communication and digital competency, as well as oratory and leadership skills. 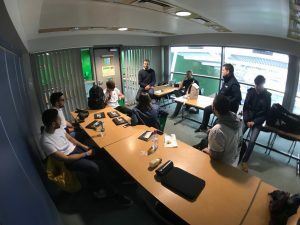 All the students involved have since been awarded work placements with Sean Holley Sport & Media, as well as the opportunity to tutor on more up and coming iBroadcast projects in the near future. 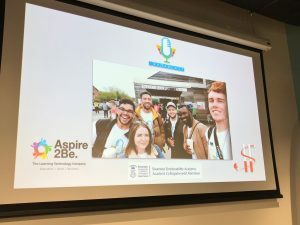 “Swansea University Employability Academy is delighted to be partnering with Aspire2Be and Sean Holley to offer work placements via iBroadcast. “The pilot, which focussed on developing key technical and employability skills within Media and Sport Media placements, was outstanding. “I’m delighted that we’ve been able, as a result of great team work, to develop funded placements in a career path that isn’t always easy for all students to access. “The recent iBroadcast, which saw the making of a short documentary around all things Varsity was an overwhelming success. This particular collaboration between Aspire2Be and myself is designed to not only develop broadcasting skills but to also enhance self-confidence, efficiency and future prospects.